Mercedes has revealed its E-Class All Terrain at the Paris Motor Show. 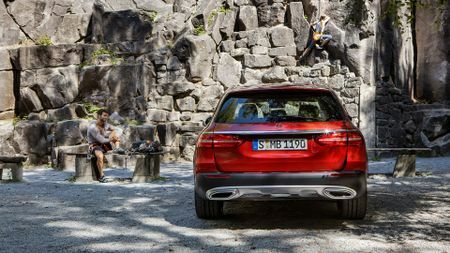 The All Terrain is a high-riding version of the Mercedes E-Class Estate, and will rival the Volvo V90 Cross Country, and the Audi A6 Allroad. 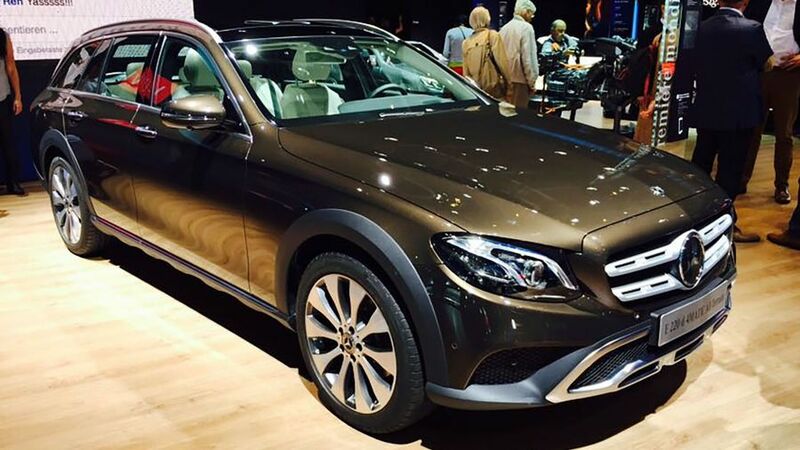 The exterior is more rugged than the standard E-Class, with a two-tone front and rear bumper, SUV-style grille, wheel arch cladding, roof rails, and pumped up sills underneath the doors. There’s 19-inch wheels as standard (with 20-inch available), and the tyres have higher side walls than the E-Class, which Mercedes claims enhances traction and provides additional ride comfort. The All Terrain features a revised version of the E-Class optional air suspension. 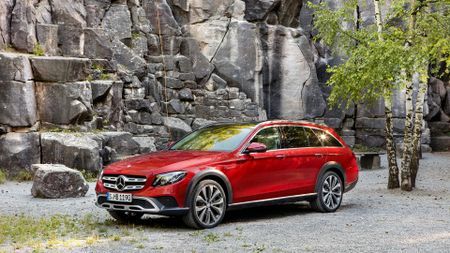 The driver can raise the ride height from the standard 121mm ground clearance (29mm higher than the E-Class Estate), through to 141mm, and up to 156mm at the highest point. There will be five driving mode options available, including an All Terrain mode that will be unique to the model and help achieve maximum off-road ability, by altering the acceleration skid control, suspension, ground clearance, electronic stability programme, and active yaw control. 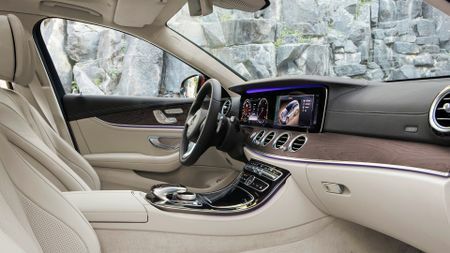 On the interior, the standard equipment is similar to the AMG line of the E-Class Estate. There’s an aluminium-carbon fibre look trim, with stainless steels pedals and floor mats branded with ‘All Terrain’. The E-Class All Terrain’s infotainment screen shows the position of the accelerator and brake, the steering angle, suspension level, and the angle of slope and inclination of the vehicle. In the UK, the E-Class All Terrain will launch with one engine, the newly-developed 2.0-litre four-cylinder turbocharged diesel, which develops 191bhp. That will be available with a nine-speed automatic gearbox and 4Matic four-wheel drive system. Later in 2017, Mercedes will add a diesel to the line-up, with the company’s new 3.0-litre in-line six-cylinder engine. Mercedes has claimed the All Terrain can do 0-62mph in 8.0 seconds, with a top speed of 144mph. The fuel consumption is claimed at 55.4mpg, which puts CO2 emissions at 137g/km. It will go on sale in the UK in spring 2017. The All Terrain is expected to be priced at around £45,000, which is £5,000 more than the E-Class Estate. Compared to its rivals, that’s a higher price than the V90 Cross Country, and lower than the A6 AllRoad.